Microsoft today explained in exhausting detail the policies that will allow Xbox One users to share digital games - as well as the benefits of their Xbox Live Gold subscriptions - with friends and family members. Any user can play digital games on an Xbox One console, even if the user who purchased the game is not signed in, Xbox Chief Product Officer and Xbox One Platform Architect Marc Whitten wrote on Xbox Wire. Similarly, any users on an Xbox Live Gold subscriber's console can enjoy Gold-exclusive benefits including online multiplayer and access to entertainment apps like Netflix through a new Xbox One feature called "Home Gold." It's not quite the "Family Sharing" policy that Microsoft axed when it cut the console's online check-in requirement, but it's certainly better than the Xbox 360's significantly more restrictive policies. Given Microsoft's tendency to flip-flop on major Xbox One features and policies, it's clear why Whitten felt the need to explain these features thoroughly. Originally, the Xbox One would have allowed users to share digital games among friends and family regardless of whose console they were using. When Microsoft chose to get rid of the console's unpopular DRM, it also did away with that "Family Sharing" feature. 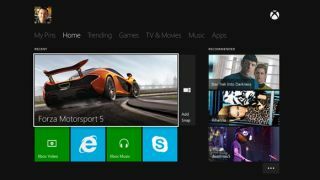 The change pleased many, though a vocal group of gamers called for the return of the Xbox One DRM, explaining that they'd be willing to put up with some restrictions if it meant being able to share digital games freely among friends. Given today's revelations, we've got to re-examine whether Xbox Live Gold or PlayStation Plus is the better deal. In fact, both Microsoft and Sony's premium services for their consoles - which cost $60 (about £38, AU$65) and $50 (about £32, AU$54) per year, respectively - will be required for online gameplay (except in the case of free-to-play games on PS4). But while Xbox Live Gold is required to access the Xbox One's entertainment apps, the PS4 has no such restrictions. The same goes for the consoles' game recording features, Sony Worldwide Studios President Shuhei Yoshida revealed yesterday on Twitter. On the other hand, there's no word yet from Sony on how the PS4 will handle game sharing, and Microsoft may have it beat in that area. It's similarly unclear whether PS Plus subscribers will be able to share their benefits like Xbox Live Gold members can. No doubt we'll learn more about each next-gen console as their release dates get closer and closer. "Family Sharing" is gone for now, but Microsoft hinted before that it could return in the future.